Whether you are a seasoned rider or just getting started with riding motorcycles, Orion Motors Riding Store in Koramangala is your one-stop shop for all your riding gear — helmets, jackets, body suits, gloves, boots, and even spare and custom parts. Planning on that solo bike trip to Leh-Ladakh? Or bought your first bike? Well, whatever maybe the case, it’s important to gear up. When it comes to motorcycle gear, Orion does it better than your run-of-the-mill helmet shop that also sells ‘cool’ jackets off Avenue Road. In fact, this store is an authorised seller of some well-known motorcycle gear brands such as Alpinestars, AGV, and MT. We checked out the place ourselves and we were mighty impressed with the collection motorcycle gear available. 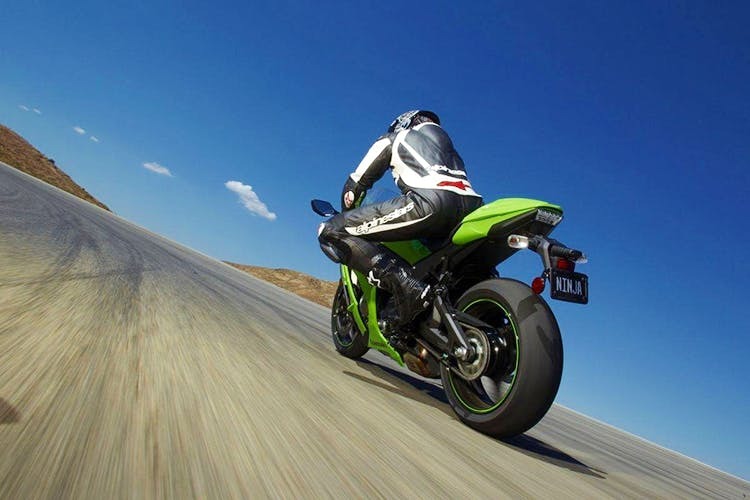 Whether your motorcycle goes “vroom vroom” or “dhuk dhuk”, you’ll find racing suits, jackets, racing pants, gloves, knee bars, riding boots, and helmets that specifically suit your needs. As we mentioned above, Orion stocks up on high-quality, official products from companies such as Alpinestars that sell everything from body suits to jackets to gloves to boots, and AGV and MT that sell high-quality helmets. You’ll also find custom parts brands such as Akrapovic and other brands that deal with oil and air filters, and exhausts. Even tires from Michelin and Pirelli are sold here. In terms of the price range, local and lesser known branded gear brands start from INR 5,000 and go all the way up to INR 15,000. The Alpinestar products are priced at INR 16,000 and above. AGV helmets, similar to the ones that MotoGP legend Valentino Rossi uses, start from INR 20,000 while MT helmets start from INR 4,000. So what are you waiting for? Gear up already!